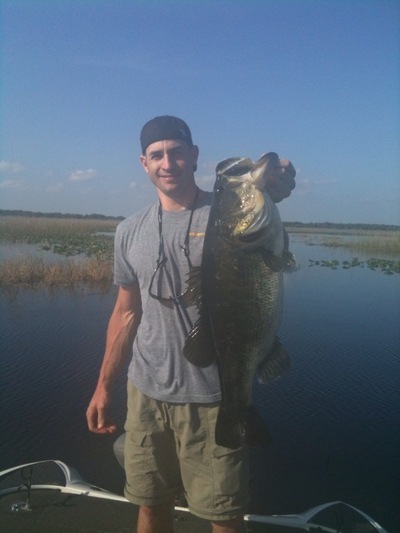 The fishing was excellent in the Kissimmee Chain of lakes with the weather warming last week. The fish are both in a pre-spawn and some fish are spawning it depends on what lake you are in on the chain. Caught big fish and numbers both. On Thursday took repeat customers Paul Sherman and Dana Wright Lake caught 21 fish in a � trip day. Dana caught 11lb. fish on a Gambler craw. We used some shiners but most of the fish we caught on artificial pitching and flipping soft plastic craws and creature baits. Some fish will leave the beds with the approaching front because the water temperatures will drop into the below 60 again. So we should have to locate them a little deeper this week. Bio: Capt. Pete Matson invites you to come and have a great 1/2 day, 3/4 day or full day of fishing! Whether you are a novice or well experience fisherman, we are here to help you have the most memorable fishing experience of you life. On the water over 200 days a year we know where the fish are. Based only Minutes from Disney World, we have entertained individuals and corporations from every state in the USA and 32 different countries through out the world. No group is too large for us to handle! I have built my Guide Service over last 20 yrs. for the customers satisfaction so you will return many years to come.